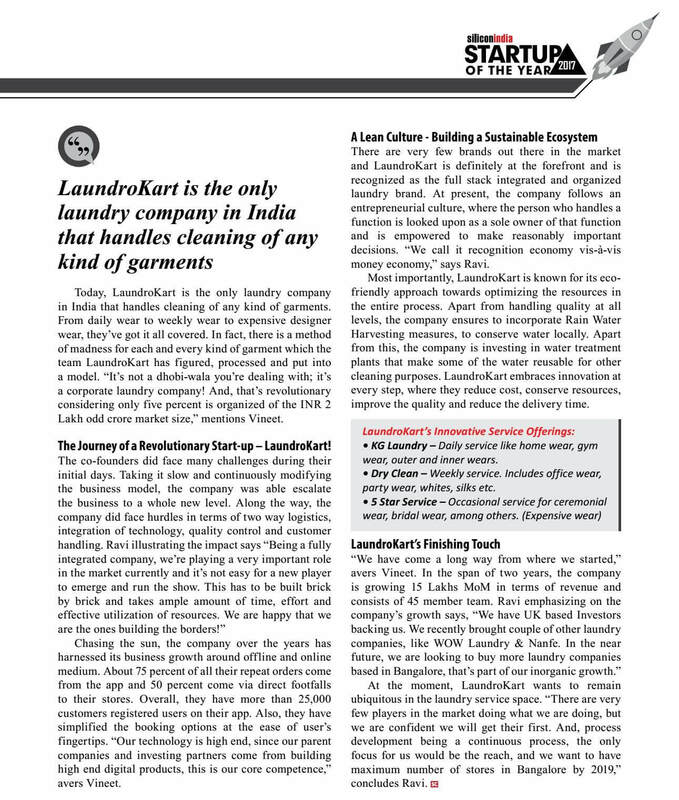 LaundroKart, India’s first 5 star Laundry Service Company, takes pride in sharing the great news. We are elated to announce that we have been recognized as the ‘STARTUP OF THE YEAR 2017’ by SiliconIndia Startup City Magazine. SiliconIndia is one of the top platforms and the biggest producer of the technology news in India. It features the most factual and relevant content about various sectors like technology, enterprise, magazine, finance, travel and many more. 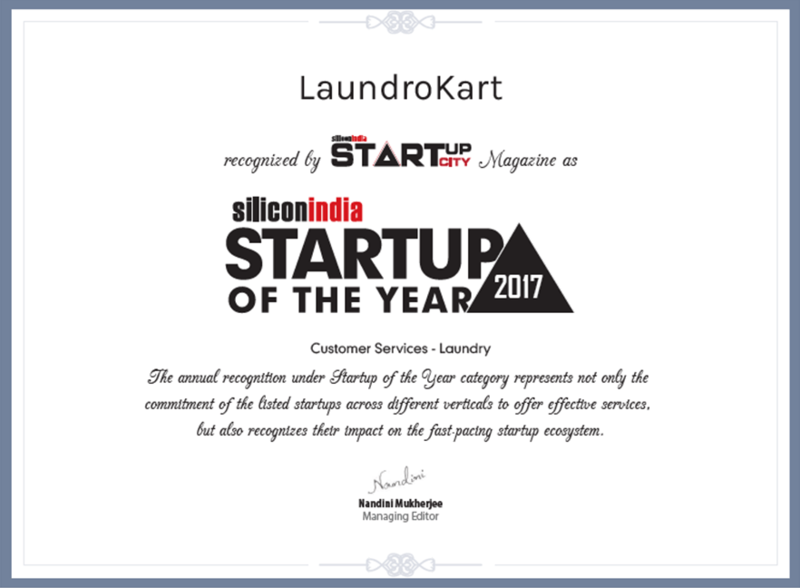 Startup of the year 2017 award for best customer service in laundry is a humble tribute to LaundroKart’s vision of changing the way India does laundry. We are extremely honoured and grateful to be the recipient of this award. From being featured in Silicon India Magazine to receiving this huge award, we have come a long way. We thank Silicon India Magazine for considering LaundroKart for the annual recognition award, under Startup of the year category, which is a great honour and privilege. Your award is invaluable in motivating us to achieve more. 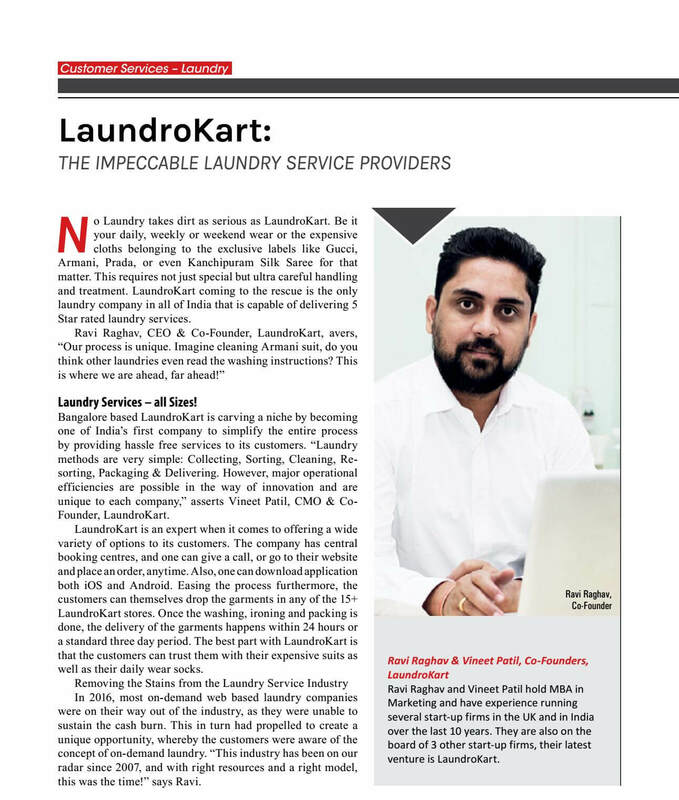 Furthermore, we would also like to share with our viewers, the publication of LaundroKart in the SiliconIndia Magazine which highlights important aspects of LaundroKart’s works and know-hows. Have a look. We promise to continue delivering best laundry service with complete satisfaction and extremely streamlined services to our customers.